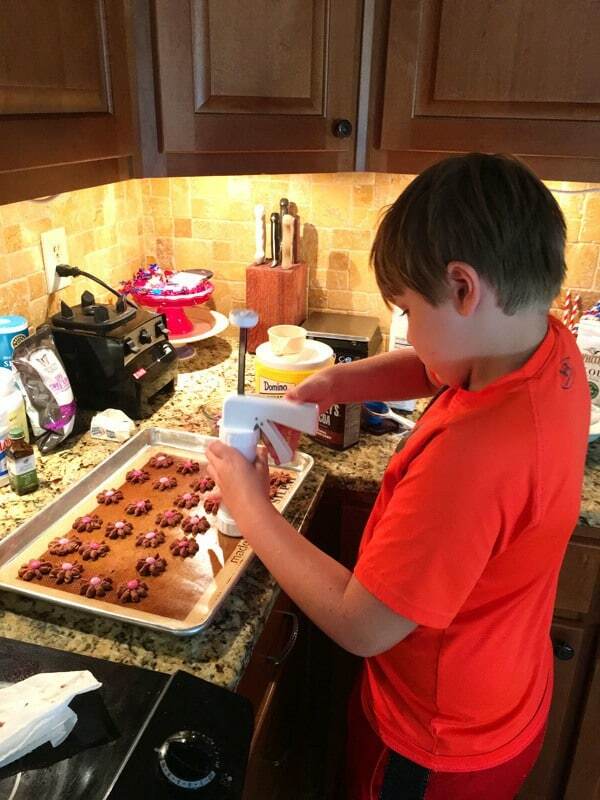 Baking a batch of cookies can be a nice experience that you can share with your kids. Cookies can be very easy to make and can be extra fun when you have the right tools with you. A cookie press for one can help you make creatively shaped cookies that look as good as the ones you see at a bakery or pastry shop. If you want to up your cookie game, getting yourself one of the best cookie presses in the market today will certainly help you go a long way. Read on to find out more about choosing the best cookie press for your kitchen. 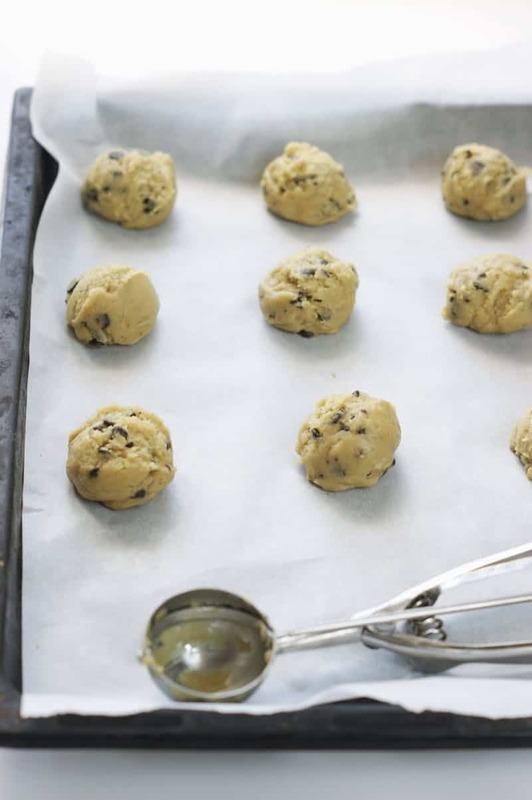 A cookie press is also known as a biscuit press, cookie gun, or spritz cookie press, is basically a kitchen tool that can help you shape cookie dough effortlessly without making a mess. Cookie presses can be similar to syringes used to inject medicine into your body. It comes in a cylindrical shape and has a trigger mechanism that will push the cookie dough through the metal die-cut disc. 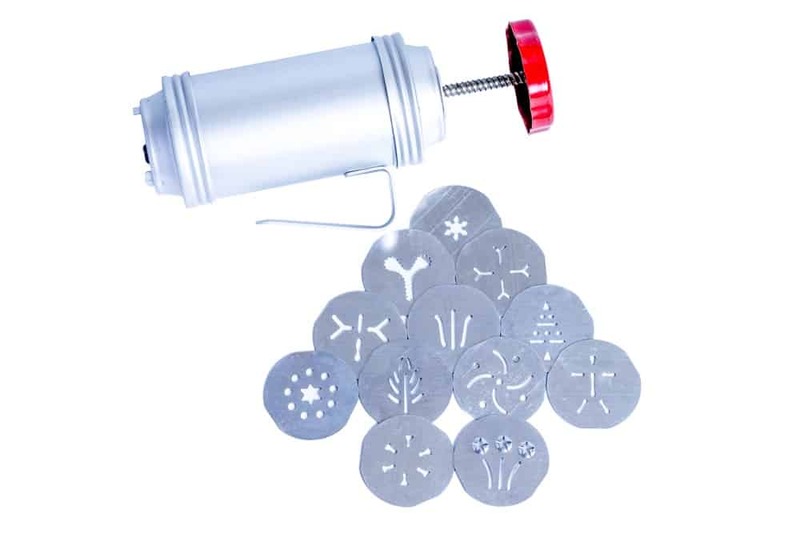 Cookie presses today often come with various shapes of die-cut discs that will allow you to create a star, flower, Fleur-de-lis, leaf, clover, shell, wreath, snowflake, pinwheel, oval or square shapes cookies with a simple pull of a trigger. 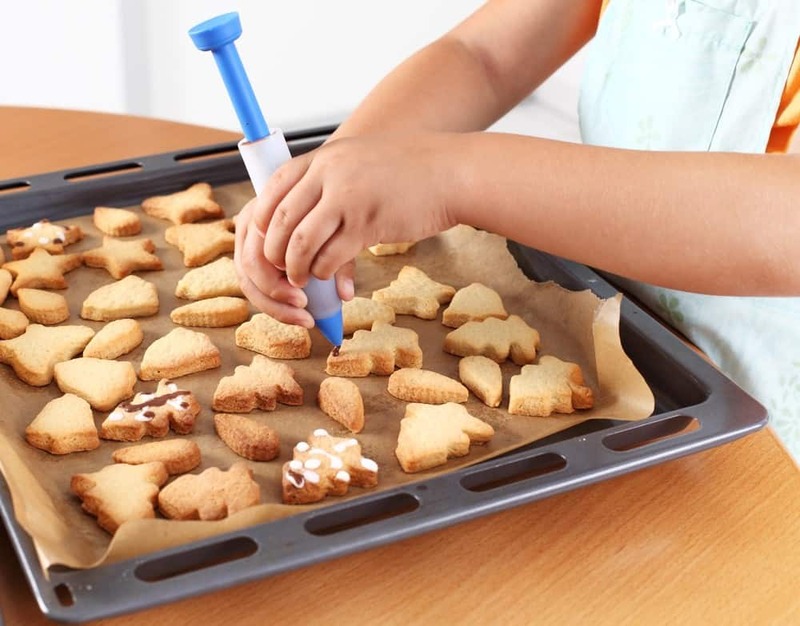 Aside from letting you create differently shaped cookies, some cookie presses today can be used as a piping bag for filling pastries, frosting cake﻿﻿s, or other decorating needs in the field of baking. Most cookie presses available in the market today are manual. I personally prefer using manual cookie presses since they are far simpler and don't have any cords that can add to the clutter in the kitchen. However, an electric cookie press can help you make cookies faster than a manual one. It can also help you squeeze out consistent amounts of dough, therefore leading to perfectly proportioned batches of cookies. Some cookie presses today come with a nice set of die-cut discs that will let you create all sorts of cookie shapes. Others even come with die-cut discs perfect for icing cakes. Make sure the cookie press you are choosing would have the right type of discs for all of your baking needs. 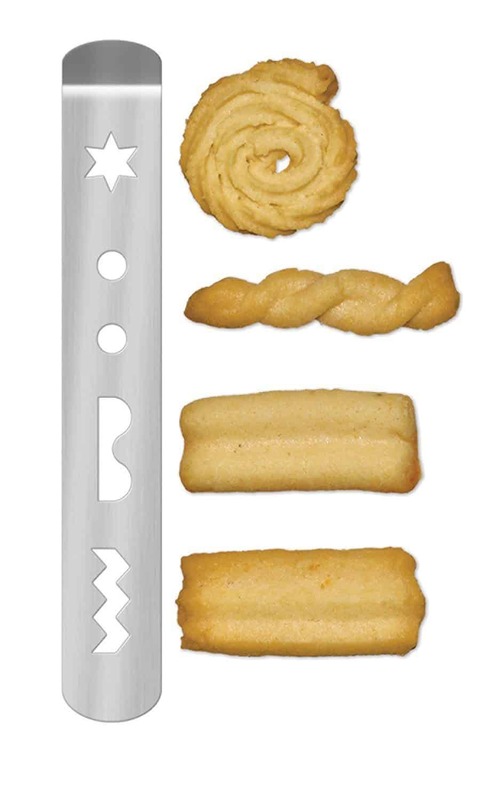 In order to create finely shaped cookies, you would, of course, need a tool that you can easily grip and maneuver. Choose a nice cookie press that had a shaft that gets securely attached to the handle for stable use. This is a very important factor to consider especially if you are planning to make large batches of cookies often. 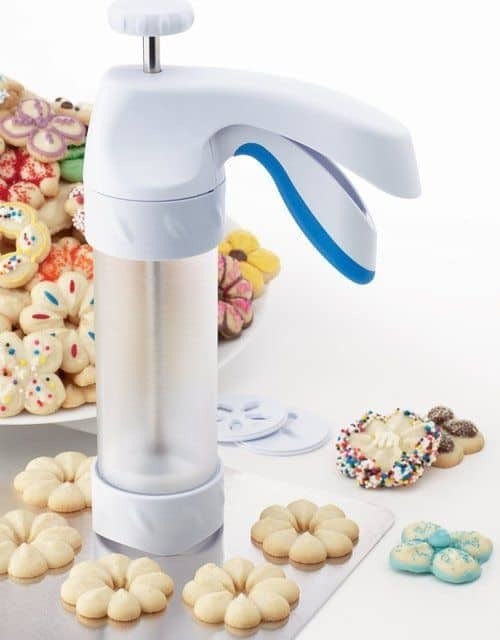 If you suffer from hand problems, getting an electric cookie press may be better for you instead of a manual one that would require your hands to put pressure into the press. If you plan to make large batches of cookies, it would be wise to go with a cookie press that comes with a large shaft. Having a large shaft means fewer refills and more time to shape cookies. Since a cookie press is used to make food, you should choose one made with materials that don't rust easily. A nice sturdy plastic cookie press may look a bit cheap, but it will surely makes you worry less about completely drying out your cookie press in an attempt to avoid corrosion. 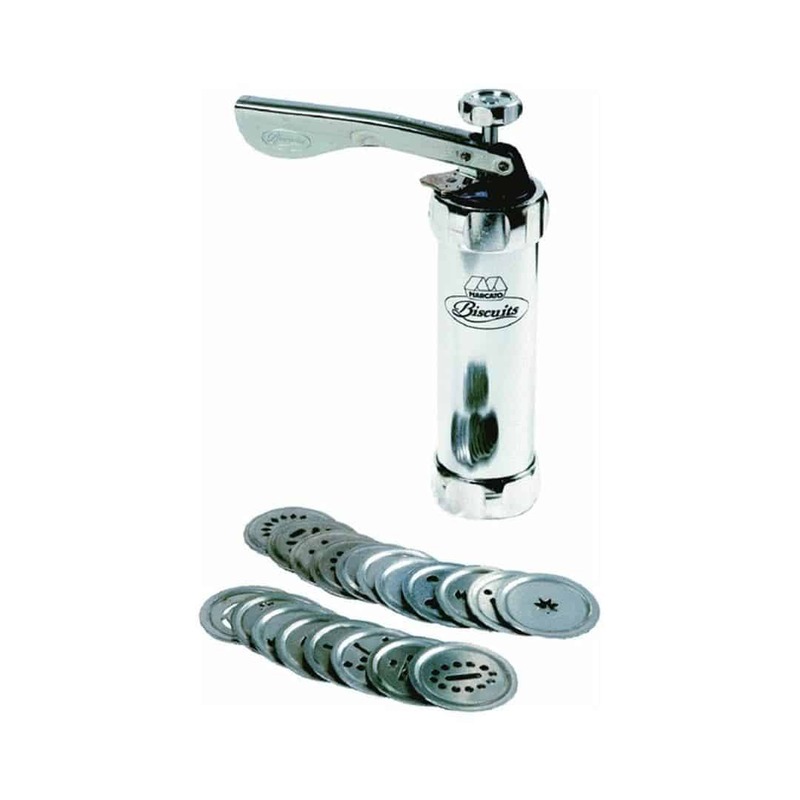 Another great cookie press you will find in the market today is the OXO Good Grips Cookie Press. This product impresses with bare simplicity. It comes with a non-slip base that adds to stability during extrusion, and a non-slip lever that will let you grip the press comfortably even during constant usage. This product also comes with a clear cylinder that will let you monitor how much dough you have used for efficient refilling. What's more is that it has 12 unique stainless steel cookie discs that you can use to create all sorts of cookie shapes. If you want more shape options, you can also buy extra cookie discs packs from OXO since they have ones designed for every season or holiday. If you plan to press stiff or hard cookie dough, the Norpro 3301 Cookie Press might be the best choice for you. 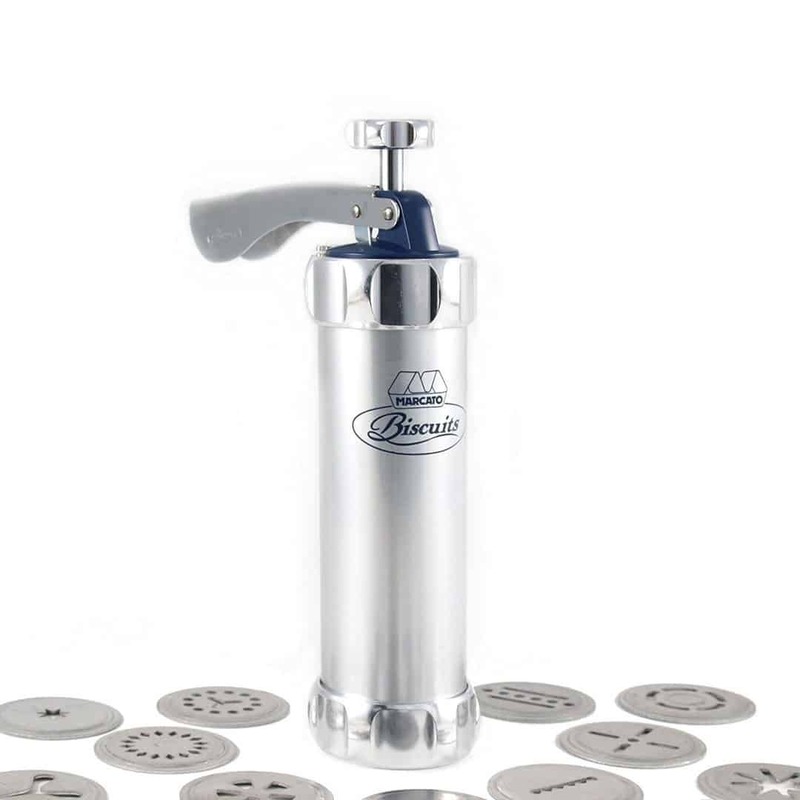 This cookie press comes with a strongly propelled batter dropper plan that is completely BPA free. What's more is that it is made with completely rust-proof materials that will let you worry no more about keeping this press dry at all times. This product also comes with 24 unique cookie discs, a recipe book, and a handy instruction manual for immediate use. This purely aluminum cookie press has a very sleek and classic design that would make you feel like any professional pastry chef in the cooking industry today. It comes with 20 unique cookie discs that will provide you with and endless possibility for a variety of shaped biscuits. Though this cookie press can be a little bit more advanced than others on this list, it does come with a helpful instruction manual for immediate use. If you decide to get this product, you will also get a handy recipe book that you can use to whip up different batches of pastries. 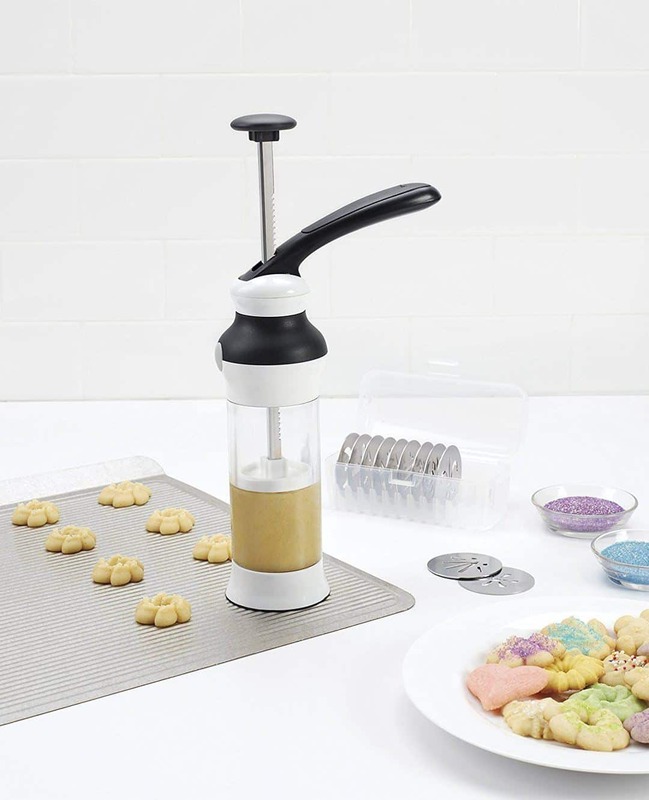 This cookie press comes with a crank handle that will allow you to create differently shaped cookies, cheese straws and more. Though this product can require a bit more effort to use, it can be useful for shaping hard and firm doughs.This product comes with 5 cookie discs with traditional shapes that slide firmly into place, making for a clean extrusion without a sticky mess. Kuhn Rikon's cookie press is definitely one of the best in the market today. Aside from bearing a very reputable brand in the kitchen industry, another reason that will make you want to buy this product is its versatile functions that will let you use it for more than just shaping cookies. 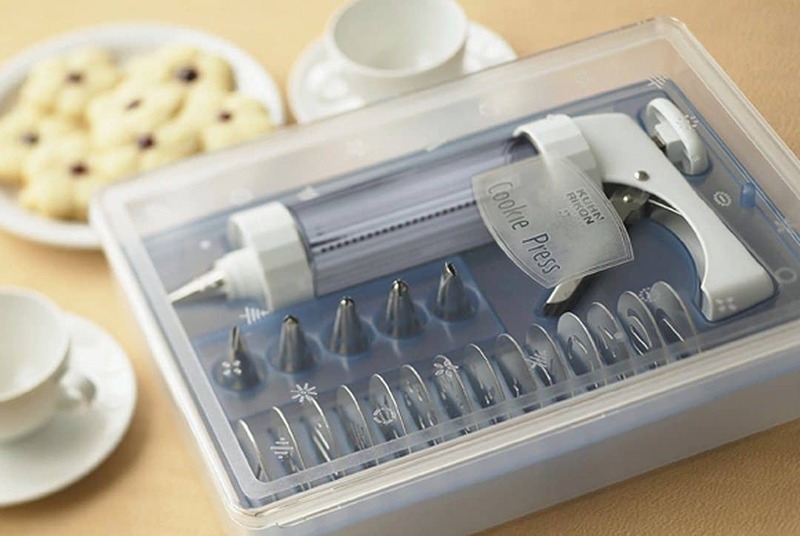 This cookie press comes with 14 unique shaping discs that will let you use this cookie press for shaping cookies, decorating cakes, filling hors d'oeuvres, and even pipe mashed potatoes. It comes with a stainless steel trigger mechanism that will let you extrude the shaft's contents with just one hand. It also comes with a see-through shaft that will let you see how much is dough is left inside the press. Another great thing about this cookie press is that it's completely dishwasher safe, making for effortless cleaning. It even comes with a nice storage box where you can safely keep all of its discs. Great for shaping cookies, filling, frosting, and piping. Of all the cookie presses I have mentioned, you surely can't go wrong with the OXO Good Grips Cookie Press. This cookie press is very simple and easy to use. It also comes with excellent ergonomics because of its non-slip features that will let you effortlessly make creative batches of cookies at your home. If you liked this article and would like to know more about other cooking tools, please leave us your feedback in the comment box below. Until next time, enjoy!